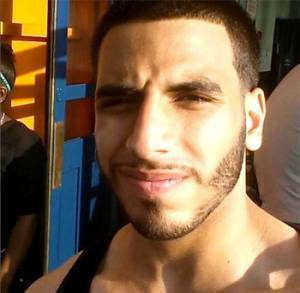 Newark, NJ - A 20-year-old New Jersey man admitted to planning to travel to Syria so he could join the Islamic State group and to discussing homemade bombs that he would detonate in New York. Nader Saadeh of Rutherford pleaded guilty Thursday in U.S. District Court to conspiring with others to provide material support to ISIS. He remains detained without bail. Saadeh is the last of three New Jersey defendants to admit guilt in the case, which came to light in August when he was arrested by the FBI. He acknowledged a co-defendant showed him diagrams for making bombs and discussed plans to use them in Times Square, the World Trade Center and Vaughn College of Aeronautics and Technology in Queens. He faces 15 years in prison when he is sentenced March 18. According to court documents and statements made in court, Saadeh admitted that before his arrest on Aug. 10, he planned to travel overseas to join ISIS. Saadeh discussed his plans to join ISIS with his brother, Alaa Saadeh, and Samuel Rahamin Topaz, Munther Omar Saleh, and Fareed Mumuni, and admitted that at various times each of them indicated that they wanted to join the terror group. Saadeh also admitted that he and the other men watched videos that depicted the execution of individuals — both Muslim and non-Muslim —regarded by ISIS as enemies. On Sept. 9 and Oct. 29, 2015, respectively, Topaz and Alaa Saadeh pleaded guilty to conspiring to provide material support to the terror group. Saleh and Mumuni have been indicted on terrorism-related charges brought by the U.S. Attorney’s Office for the Eastern District of New York, and are awaiting trial. Their lawyers have previously said their clients are innocent. hmmm, muslim male between the ages of 18-45. No, let's not profile. "He faces 15 years in prison when he is sentenced March 18"
15 years??? That's it?? Minimum should be 25-30. There are more than 3 in NJ.